THE FACTS : Senator Obama’s Socialist Past | America - Stand Up! Motivating America to Preserve & Defend the United States. America, These are verifiable facts. Please… Wake Up! Obama is not who he says he is. 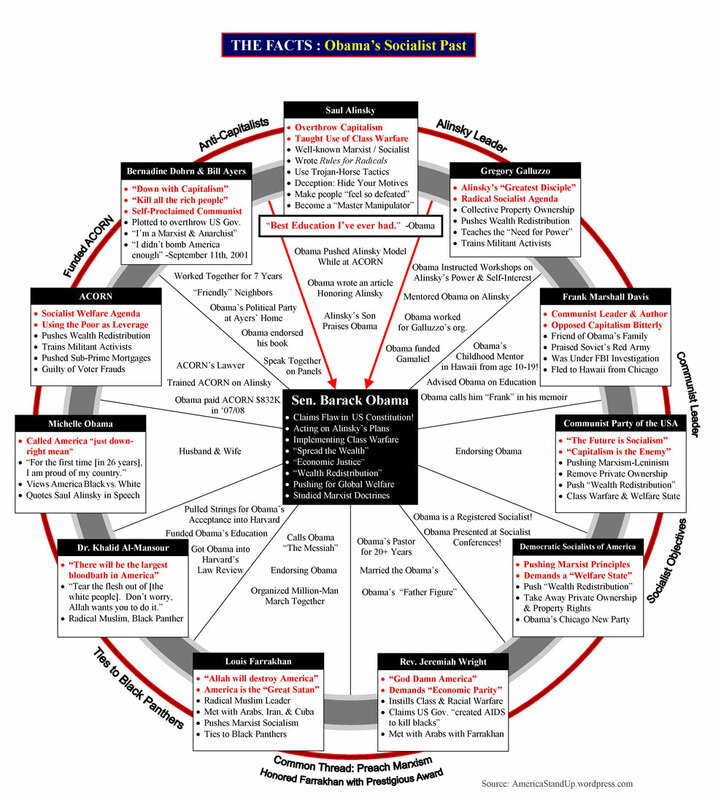 This Diagram uses credible & verifable sources. All claims can instantly be verified within a couple minutes. Here they are for you in plain view: View Extensive Sources Here.